Bring water in a vessel and blanch the baby corns for 4-5 minutes. Pat dry in a kitchen towel and set aside. Place mint, coriander, green chillies, garlic in a food processor/blender and whiz until crushed/finely chopped. 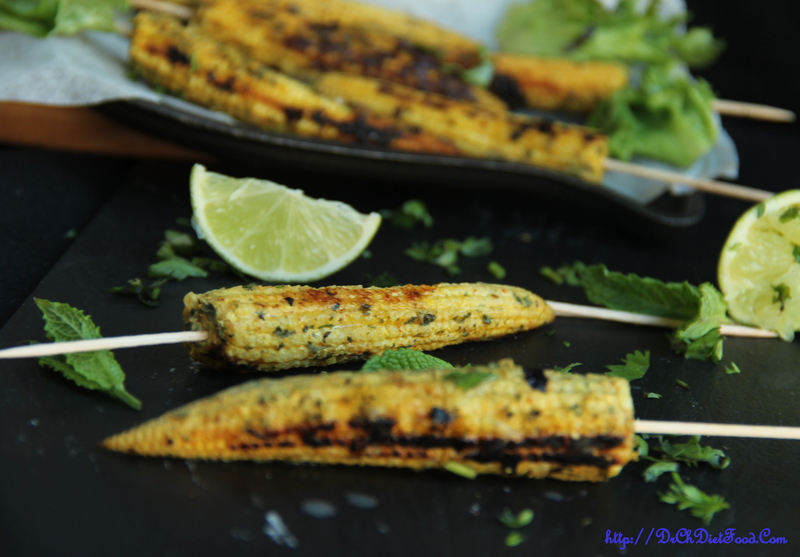 Dissolve corn flour in water to form a thick paste, add crushed mint, coriander mixture, turmeric, lime juice, salt stir well until combined. Add blanched and pat dried baby corn to the marinade mixture and toss to evenly coat them and set aside for 10-15 minutes. 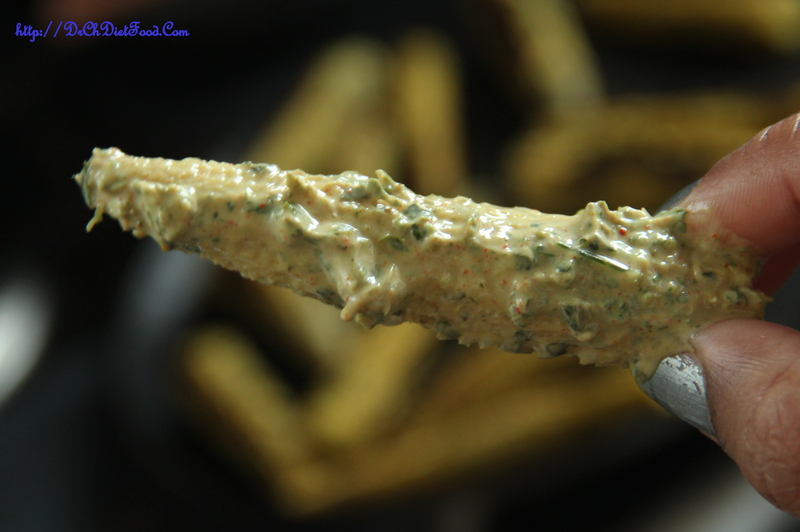 Once toasted- drizzle some lime juice, chat masala. 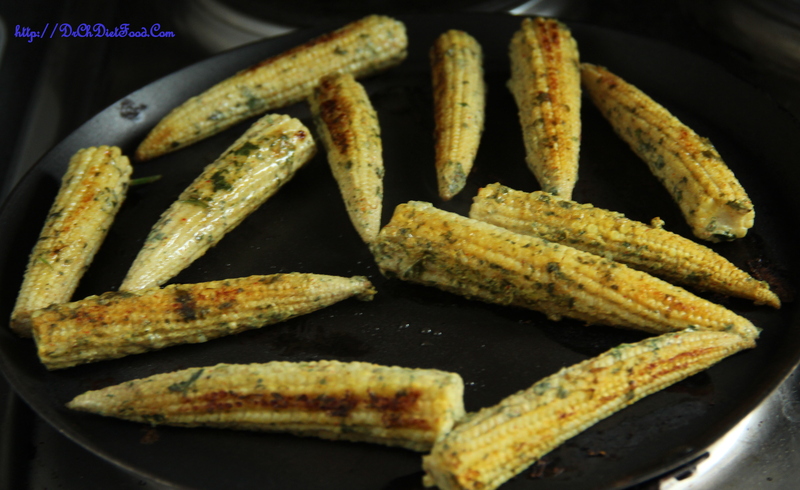 Posted on November 29, 2015, in Appetizers, Indian, International, Starters and tagged baby corn appetizer, baby corn recipes, baby corn starters, Easy kids friendly snacks, Healthy starters, marinated babycorn, mint sauce coated baby corn, no bake starters, non fried starters ideas, party snacks, tawa cooked starters, veg skewers. Bookmark the permalink. 33 Comments. Wow this sounds so flavorful and versatile! Yumm Chitra! I m going to try this in the evening. Thanks for this lip smacking recipe. 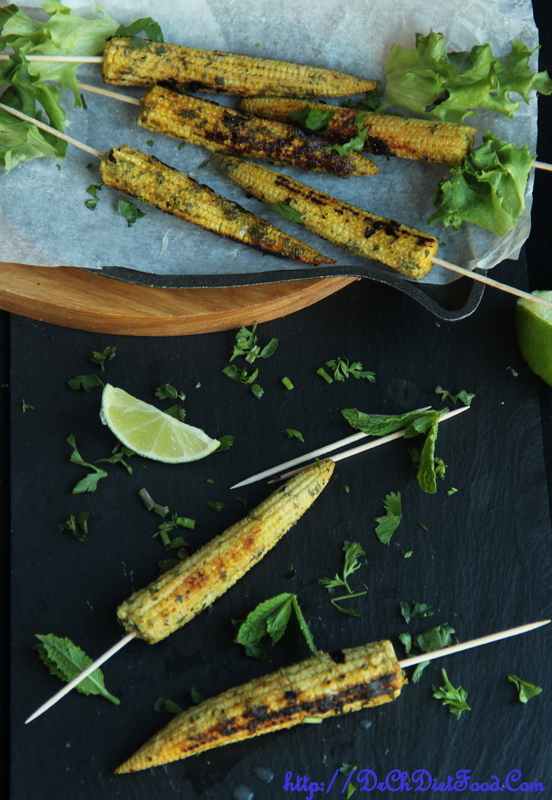 Oh ya toothpick is must for corn cobs else our tounge will be dancing around the teeth to pull them out…. I can finish off this one in no time. So good and YUM! Thank you Kushi…had you liked it..
Been a while since I have been on your blog, Chitra. Will look at what I have missed.